We are revving up for the Lenten season that begins on Ash Wednesday, February 10. As 2016 versions of mobile apps become available, we will get the links updated below. Some apps don’t update until just before Ash Wednesday each year. But they’re worth the wait! So please check back. Before you get started, check the detailed contents of your personal Catholic apps because many also include Lenten devotions like Way of the Cross. So, you may have some of these devotions for Lent already. Of course, Confession apps cover that critical component of the Lenten experience, reconciliation. Some apps are exclusively devoted to the Lenten experience. Our top picks are below to assist you in your journey towards Easter. Lentsanity (Free) iOS and Android. Fellowship of Catholic University Students offers a great little app designed for young adults that’s got an approachable, lighthearted feel to it, but in reality, has a lot of meat (no pun intended). You have to put your big boy/girl pants on to tackle the suggested Lenten “daily doses” in this app packed with intelligent activities, virtues, prayers and sacrifices that you can add to your days of Lent to make the journey profitable for your body and soul. Each dose (offered daily except Sundays) offers instruction about the challenge and how it can help you and others as you deepen your relationship with the Lord. Examples include: humility; sleeping on the floor; almsgiving; cold showers; Mass; reclaim friendships; confession; gratitude; go without makeup. Meat Police sends you reminders on days of Lent in which we abstain from meat. Read articles about WHY we abstain. Other resources include meatless recipes, and articles to help you understand the Lenten observance. Check out their review of fish sandwiches at popular fast-food establishments in the U.S. Even with these fun elements included, Lentsanity delivers in respecting the intelligence and the commitment of the user in plumbing the depths of Lenten practices. 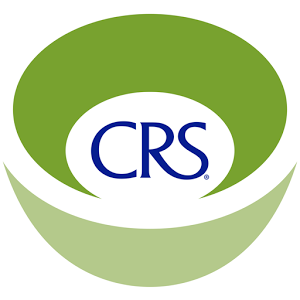 3D Catholic (Free) iOS and Android Developed by University of Notre Dame’s Institute for Church Life 3D Catholic app is designed to promote three traditional Catholic practices of prayer, fasting and almsgiving (works of mercy)–practices traditionally connected to the season of Lent. But the developers hope users go beyond a one-shot attempt, so they programed in unique features designed to help the user develop a daily habit of engagement, cultivating a life-long practice. This is achieved by joining a community connected through this app and by setting daily reminders for prayer, fasting and almsgiving (including works of mercy). You will also enjoy their audio meditations of the Stations of the Cross or the Rosary for the Lenten season! Sacred Space (Free) is a daily audio retreat format produced by a joint apostolate of the Irish Jesuits and Loyola Press since 1999. They feature special Lent retreats (in conjunction with PrayAsYouGo) which you can follow at your own pace as you carve out a few minutes each day for this devotion. These mini-retreats are designed to gently guide you through meditations on Scripture suitable to the overall theme. Pray As You Go provides the glorious audio production/music for which they are known. The 2016 Lent retreat titled Year of Mercy, Lent of Healing reflects on the healing miracles of Jesus in the Gospel narratives of Matthew. A new session of the retreat is uploaded each week. Last year’s retreat titled, Women of the Passion, is wonderful and still available for this year. Meditation on the Passion of our Lord is a particular devotion during the season of Lent. The Passion of Jesus app ($1.39) iOS and Android is designed to help you develop a tender daily devotion to Jesus Christ and his passion by engaging you–in real time–in the last 24 hours of Christ’s life. The events are put in sequence as found in Scripture and Sacred Tradition. Based on your local time, you are served a respective passion image, a corresponding reflection (based on the collective writings of Saint Alphonsus de Ligouri), response and suggested prayer intentions. EWTN: Lenten Reflections 2015 (Free) Android. EWTN Lenten Reflection App includes new 1-minute long video reflections with Fr. Benedict Groeschel. New videos updated daily! This app is a great way to take time out of the activities of our day – to allow God to speak Truth into the midst of the chaos of daily life. 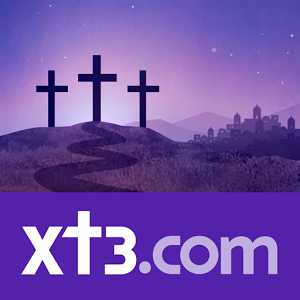 Xt3 Lent Calendar 2016 (Free) iPhone, iPad, Android Phone and Android Tablet If you like to follow Lent with an Advent-style calendar in which content is released for view when the day arrives, this is for you. Starting on Ash Wednesday, you will get videos, podcasts and articles to guide you toward the Christian celebration of Easter. This includes messages from Pope Francis, an audio/video Way of the Cross, podcast reflections, and much more! If you want to access the calendar via your browser, here it is! But remember, it’s a calendar that only opens when the individual day arrives.